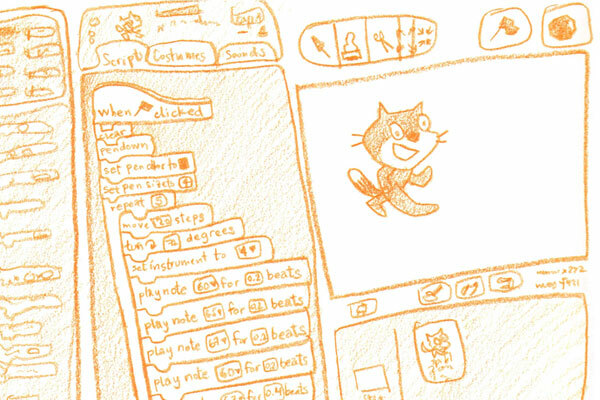 As described by the MIT Media Lab’s Lifelong Kindergarten Group, who led the project, Scratch is “a graphical programming environment that enables kids ages 8 and up to create their own interactive stories, games, animations, and simulations — and share their creations with one another online”. Since its launch in 2007, the Scratch website has become a vibrant online community, representing roughly 1.2 million registered members, who have collectively uploaded more than 3 million projects, and counting. As part of the Scratch team, PICO has been actively contributing to design, development, and exploration of new directions.